Christmas is the season to celebrate, so host a festive party your guests will never forget by choosing Battersea Evolution as your perfect Christmas party venue in London. As well as playing host to a breath-taking shared Christmas party year after year, Battersea Evolution is also available for exclusive hire, allowing you to create your own evening of festive celebrations. 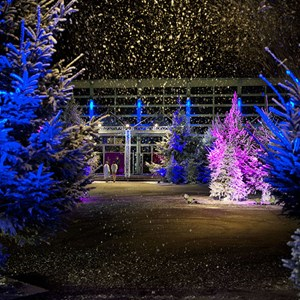 Each year Smart transform this great venue into a winter wonderland of great food and entertainment. If you’re looking for the best exclusive Christmas party venue in London, head to Battersea Evolution!